Bromo is probably the most popular volcano attraction in Indonesia. Situated in the middle of the “Sea of Sand” (lautan pasir), the ancient crater of the Tengger caldera, Bromo itself is only 2,329 metres high. 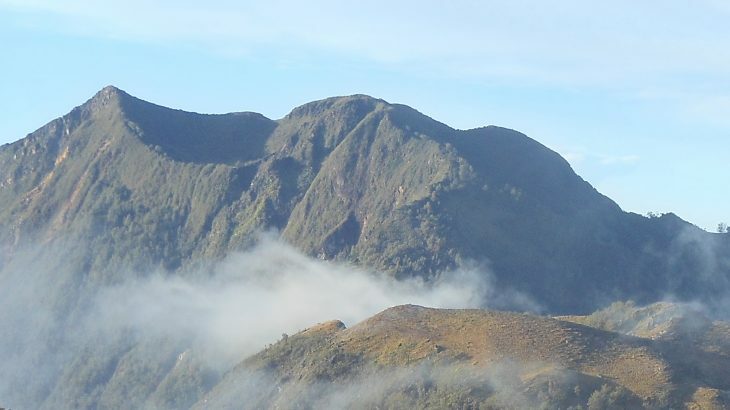 The perfect ridged cone of Gunung Batok next to Bromo stands taller at 2,470m and the surrounding crater rim is higher in many places, with the highest peak being Gunung Pananjakan. 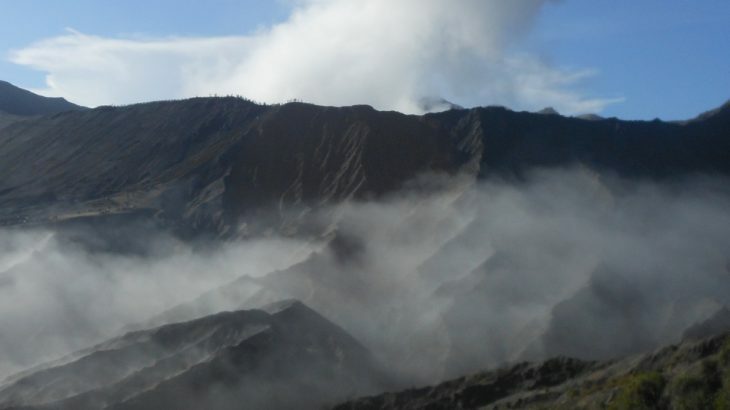 Java’s highest peak has been active for decades – a cloud of black volcanic ash and sand is frequently released from near the summit – sometimes once an hour, sometimes as often as every ten minutes. There have been numerous fatalities, but it is a popular and safe hike if you treat the mountain with respect and as Java’s highest peak, it is one of the finest hikes in Indonesia. 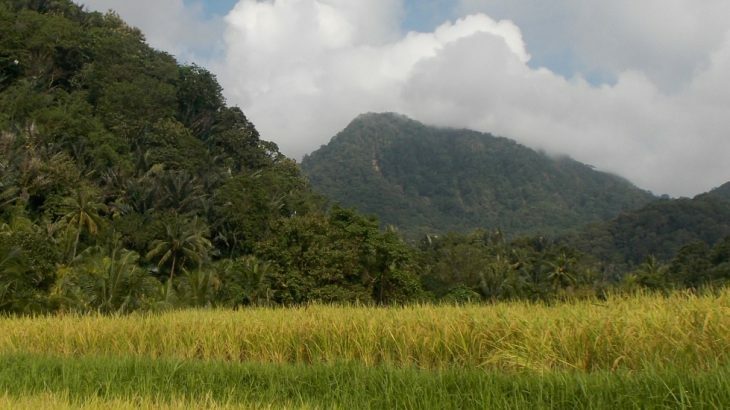 Occasionally people email to ask about the huge massif known as Anjasmoro to the west of Arjuno-Welirang. This is a vast and, for Java, wild range. At the time of writing, in 2018, unless you are on the Wonosalam route you are unlikely to meet any other hiking groups at all, even on weekends! This mountain is one of the most active and dangerous volcanoes in Indonesia. A large eruption in 1919 killed approximately 5,000 people and a more recent eruption in 2007-8 resulted in the crater’s pleasant blue lake being replaced with a vast lava dome. In February 2014, a huge eruption occurred two days after local people reported animals fleeing from the surrounding forests. By 2015 or so, the lake had returned, but who knows how long it will be before the next lava dome emerges to displace it once more? 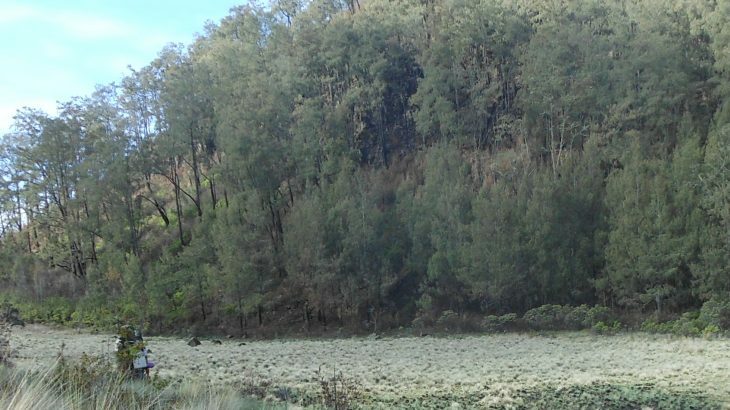 At over 2 kilometres in diameter, Gunung Raung has the largest crater in Java. It’s one of the most remote and least climbed of the 3000-metre plus peaks which means that there isn’t much litter on the trail and it really is a mountain to escape from civilization for a while. 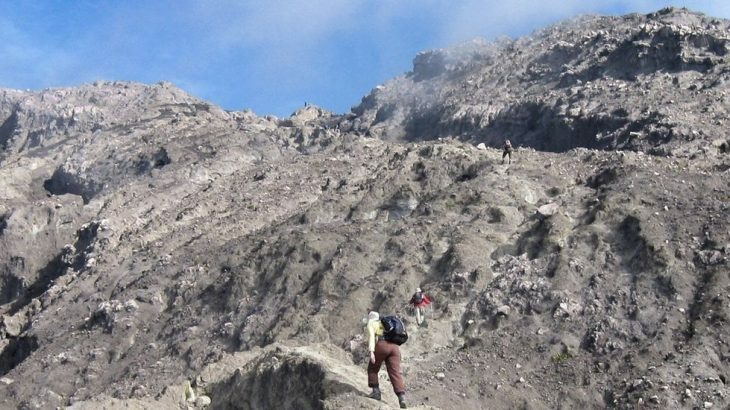 Whilst reaching the true highest point of Raung crater rim requires a 3-day expedition involving roped rock climbing, the most popular route to the rim itself is from the north at Sumberwringin. This Ribu has two excellent paths to the top from the south, with the two trailheads just 800 metres apart (though in different provinces!) 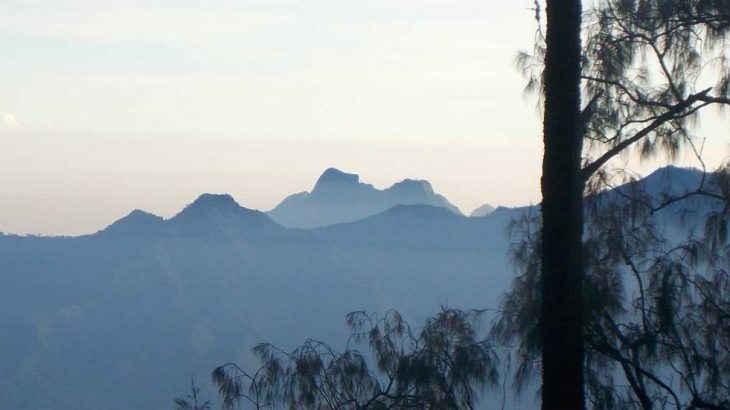 It is perhaps Java’s easiest 3,000m peak, especially since the two most popular paths start at an elevation of 1,900m, and is perhaps the island’s most mystical. 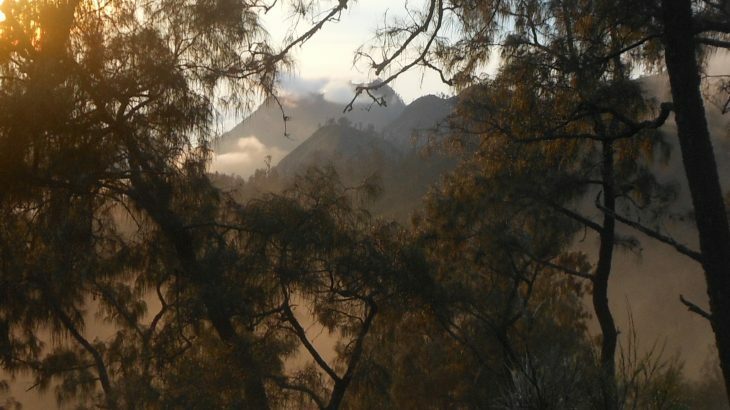 It’s a great hike for those new to hiking in Indonesia and the views are fabulous. 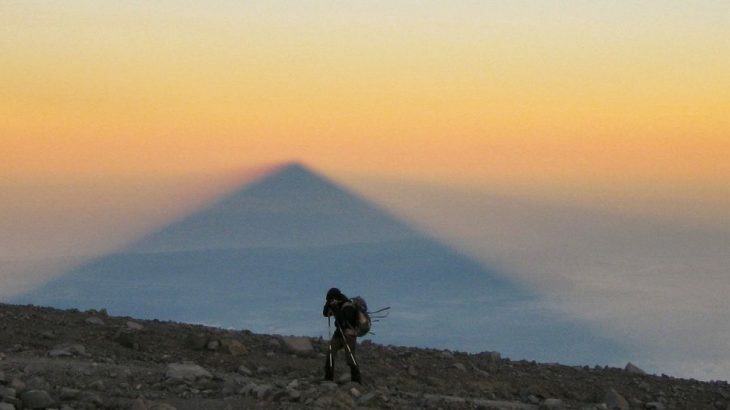 This peak is the highest point of the enormous Arjuno-Welirang range, located just 50 kilometres south of Indonesia’s second largest city, Surabaya. The lower Welirang peak is active and still mined by local sulphur collectors. 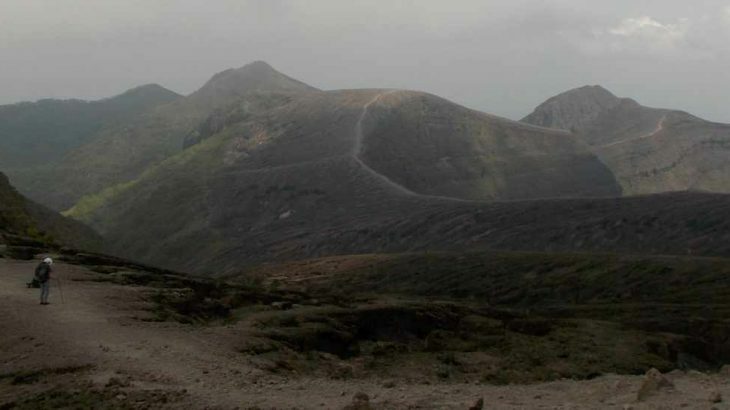 The twin Kembar peaks nestle between them and a traverse of the entire range is one of the finest hikes in Java. It’s a huge area so camping for a night or two is absolutely necessary. The best thing to do would be to visit both main peaks for dawn but strong hikers could complete the range in two very long, strenuous days. 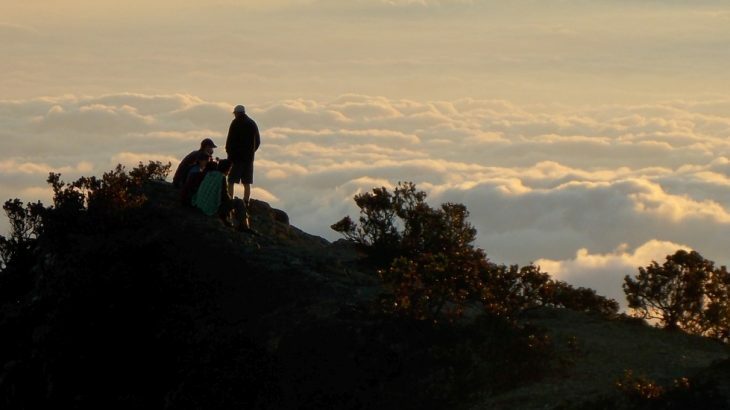 The Argopuro mountain complex offers one of the longest and most isolated treks in Java with incredible scenery to match. The ruins of an ancient Hindu temple on Rengganis peak, named after Princess Rengganis who supposedly built the temple possibly as early as the 12th century, make for a mystical experience.